Below you can view all the homes for sale in the Lavista Park subdivision located in Atlanta Georgia. Listings in Lavista Park are updated daily from data we receive from the Atlanta multiple listing service. To learn more about any of these homes or to receive custom notifications when a new property is listed for sale in Lavista Park, give us a call at 404-998-4097. Deluxe Screened Porch To Die For With FIreplace. Finished Daylight Basement. MLS#6537410. Keller Williams Buckhead. Lvp Is Atlanta'S Most Conveniently Located Neighborhood! MLS#6534937. Keller Williams Buckhead. Located In One Of Atlanta'S Most Exclusive Neighborhoods And Convenient To 85/400 And Minutes From Emory, Cdc, And Top Dining And Entertainment! MLS#6536030. Maximum One Executive Realtors. Lavista Park Currently Petitioning To Annex Into Brookhaven For Increase In Municipal Services And Lower Taxes MLS#6535452. Red Barn Cityside. Stucco Custom Built In Sought After Lavista Park This Home Has Been Meticulously Maintained W/ Features Inclding 4 Levels Of Living State Of The Art Security Entertainment Options Speakers Wired Through Each Level Of The Home All Bedrooms Are En-Suite Master Bathroom Incldes His&Her Sides Bright Eat In Kitchen Flows To The Family Room W/ French Doors To Private Deck & Backyard A Downstairs W/ In Law Suite Or Perfect Home Office Off 3 Car Garage W/ Private Kitchen Convenient To 85 & 400 Highways Mins From Emory Cdc & Va Enjoy Living Near Top Dining Restaurants Φpps MLS#6532498. Keller Wms Re Atl Midtown. New Paint, New Carpet In All The Secondary Bedrooms, Refinished Hardwoods On The Main Level, New Roof. Incredible Value. MLS#6531068. Atlanta Fine Homes Sothebys International. 2nd Renovated Bath W/2 Sinks. Easy Access To 85. MLS#6527943. Berkshire Hathaway Homeservices Georgia Properties. Grab This One Just In Time For The Holidays! MLS#6525145. Compass. Tenant Is Also In Place Currently Renting Month-To-Month If Any Investors Are Looking To Add To Their Rental Portfolio! MLS#8548321. Keller Williams Rlty Atl. Part. This Is A True Luxury In Lavista Park, With Mature Trees & Room For All Your Parties! MLS#6520378. Duffy Realty Of Atlanta. Private Master Bathroom W. Multi-Jet Heads, River Pebbles, Seamless Glass Door. MLS#6514410. Mini-Maxi Realty, Inc..
Includes 1301, 1309 & 1319 Sheridan Rd. MLS#6514511. Berkshire Hathaway Homeservices Georgia Properties. Does Not Include Sun Room. Many Updates. MLS#6513971. Re/Max Metro Atlanta. Pristine 2-Car Garage W/ New Floor. Over 70K In Upgrades!. MLS#6511233. Sage Real Estate Advisors, Llc.. This Is Only A Per Lot Asking Price. MLS#6508191. Kovach Development Corp.. Pool Has Been Refinished With Fiberglass And All New Pumps Installed. Welcome Home! MLS#6507165. Live Love Atlanta, Llc..
Gym. Artist Studio. 2- Car Garage. MLS#6505463. Berkshire Hathaway Homeservices Georgia Properties. Hardwood Floors On Main, Plantation Shutters & More! MLS#6504553. Keller Williams Rlty-Ptree Rd. Walk To Starbucks And Whole Foods. MLS#6503251. Re/Max Metro Atlanta. Excellent Location Convenient To 85 And 400 And Minutes From Emory, Cdc, And Top Dining And Entertainment! MLS#6502786. Maximum One Executive Realtors. This Amazing Large, Level Lot Is 300 Feet Long And 100 Feet Wide, Zoned R-75 And Is A Great Opportunity To Build Your Dream Home Or Renovate This Home To Suit Your Needs And Make It Your Dream Home! MLS#6502133. Ansley Atlanta Real Estate, Llc. This Amazing Flat, Large Lot Is A Great Opportunity To Build Your Dream Home Or Renovate This Home To Suit Your Needs And Make It Your Dream Home! MLS#8522720. Ansley Atlanta Real Estate. Metal Glass Rails, Tankless Water Heater, Beutifull Stucco, Stone And Brazilian Wood Siding. MLS#6128705. Chapman Hall Realty. Built By Direct Build Atlanta - Dbatlanta.Com MLS#8517834. Coldwell Banker Residential Br. 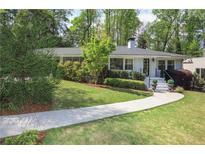 Incredible Chance To Live In A Custom Modern Home On Rare Private Lot In The Heart Of Atlanta. Built By Direct Build Atlanta MLS#6126767. Coldwell Banker Residential Brokerage.